Proper scooter maintenance is vital in order to preserve the well-being of your scooter and to save you money. Up keep of bearings, wheels, headset, grip tape and grips are all essential for a smooth ride. In this article, I'm going to give you a few tips on how to properly keep your scooter in tip top shape so keep on reading and try to work some of these things into your weekly scooter schedule. First of all, your bearings and headset bearings are a crucial part of how your scooter operates. Weekly cleaning and oiling of all of these bearings can keep you riding smoother and faster for longer periods of time. Your headset bearing must stay clean and oiled up so that your wheels spin quickly and smoothly. Doing this once a week will seriously preserve the life of both your headset and your bearings in your wheels, which will ultimately save you money. The second scooter maintenace tip that is important to work into your weekly schedule, in order to have a smoother scoot, is grip and grip tape maintenance! Having control over your scooter when you are out riding around is one of the most important parts about scootering. If you dont have a handle on your grip and grip tape maintenance than all of that control goes out the window. It is important to constantly make sure your grips and grip tape are clear of dust, dirt, water or any other substances that may affect your ability to grip your scooter. A clean sheet of grip tape and some comfortable, really grippy grips are a must. Always replace these things when the time comes! One final maintenance tip that I have for you is wheel rotating! 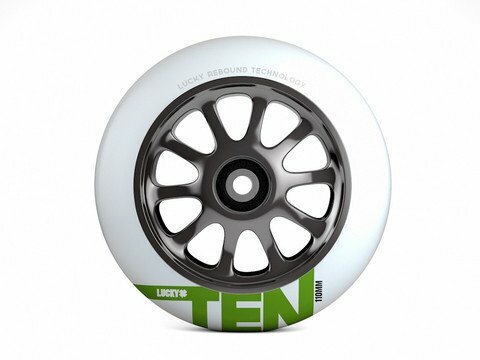 Rotating your wheels, like they do with cars, once a week can preserve the urethane life of your wheels and allows you to get your money's worth! I recommend you do this if not once a week, at least once every two weeks. You will defintely notice the difference when you stop buying wheels as often! Give these few tips a try and show them to your friends too! Everyone should know how to take proper care of their scooters! I bet they end up thanking you once they try these tips out! Click here to find out why posting on social media is important!